This level has hard difficulty and you need to use good strategy to complete this level. 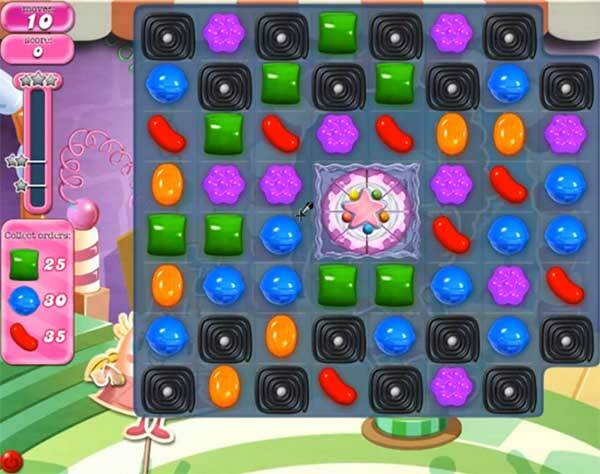 For this level you should try to play near to cake to break them or make colorbomb by combining five same color candies and combine with striped candy as you get the chance. Then try to play more with green blue or red candies. Or use striped candy with wrapped candy combo or other special combo to reach the target. I got this level on my first try….which was sheer luck! Sounds impossible with just 10 moves! I got one colorbomb and was able to clear the cake on my last move. The rest was just chain reaction.